Very spirited and exciting game! Apache alumni was definitely boosted by some of the younger players this year, but that didn't mean the old timers didn't pull their weight! Game was close the whole way. I was impressed by the skill level of all players, young and old. You could definitely feel the passion that all players have for the game. Thanks for letting me be a part of this again. We need to get more people out to watch!! I suggest next year having the soccer game before the Alumni Challenge basketball game. They could even move the barbecue outside near the soccer field. Just an idea. This is to let everyone know the 2011 Encina Alumni Soccer Game will be played on Saturday April 30th, 2011. the game will be played at noon on the Encina High school soccer field. I'd like to invite all former players and students to come out and support the Soccer Program at Encina. 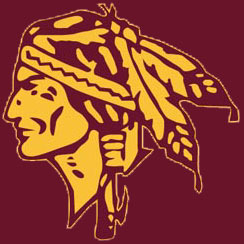 I would also like to salute the work the Alumni have done with the Alumni Challenge, and encourage everyone to participate by pledging to support the Encina High School Booster club. The body of work that the Alumni Challenge has produced over the years is impressive, and I want to encourage everyone to participate and come out and watch some Baketball Friday night, and a little Soccer on Saturday. During the 1990’s and early 2000’s, the once proud Encina soccer teams fell on hard times. For several seasons, the boys did not win a game and had four coaches in four years. The girls did not even field a team in some years. But things changed dramatically for the better when John Buchmiller was hired in 2005 to teach earth science and coach both the boys and the girls. John wanted to develop not a team but a program. 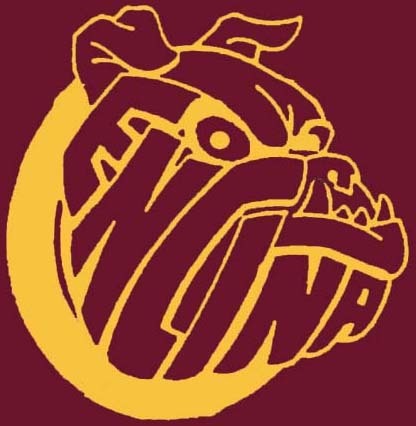 Although Encina had not had a JV team for years and there were barely enough eligible boys to play, John brought in his long-time colleague, Glenda Claremon to coach the JV team and assist with the varsity. Previously, talented underclassmen played on the varsity where they were outsized and overmatched without a chance to develop. In that first year, both the varsity and JV’s won only one game each, and few of the games were competitive. Many times, when the varsity fielded only ten or eleven players, John would think about bringing up one of the sophomores, but he remained committed to rebuilding by developing younger players. The next year, the varsity won two games, but a strong JV team lost only twice and played for the league championship in its final game. By the third year, the varsity was still losing most of its games, but the scores were no longer 13 – 0 or 8 - 1. Rather, the scores were a respectible 1 – 0 or 4 – 2. That is a funny way to measure success, and it was painful for the boys who were still losing most of their games. But the JV team again lost only two games and challenged for the league championship. John and Glenda knew that things would look up when the strong JV players from these two years reached their junior and senior years. The fourth year started well as the varsity won games consistently, and was competitive with the top teams in the league. With four regular season games remaining, two of them against weak teams, the boys had to win only two games to reach the playoffs for the first time in years. But they did not. They had a major meltdown and lost all four games. The fifth year started even worse. Although the team was extremely talented, they did not gel and continued to lose games against weaker teams. At the halfway point in the regular season, the team’s record was 2 – 4. John benched a star player to send the message that no one player was more important than the team. Amazingly, the boys got the message. Once they began playing as a team and not separately, they put together the winning streak they were always capable of. On the last night of the regular season, they needed only one more victory to advance to the playoffs, but that final game was against Capital Christian, the undefeated first place team, playing on their home field on Senior Night. Although Cap Christian had clinched a playoff berth, they were not taking it easy as they were determined to preserve their undefeated season. Encina won 2 -1 and reached the playoffs as the lowest seed. The boys upset the Southern District champion, Le Grand, 4 – 1, and league rival, Lindhurst, 4 – 2, to reach the Section Championship game against …. the number one seed, Capital Christian. Cap Christian scored an early goal and then withstood every attack mounted by Encina. Time ran out on the clock and over two minutes of stoppage time elapsed when Encina’s offensive star, Miguel Alguilar, scored an impossible goal seconds before regulation time ended. The stunned Cap Christian team put down the water bucket they had ready to pour over their coach and returned to the field for the overtime, but the momentum had changed. Miguel scored again and the Encina boys captured their first Sacramento-San Juaquin Section Championship ever. With many returning varsity players this year, Encina was no longer a Cinderella team but the favorite to win the newly created and realigned Sierra Delta League, and return to the playoffs. Being the favorite, however, is not easy. Frequently the team gave up early leads, but battled from behind in the second half to win. In the last game of the first half of the season, Encina faced Vacaville Christian, the other undefeated team in the league. Vacaville came away with a 2 – 1 victory. With both teams winning the rest of their games, Encina played Vacaville again in the last game of the season. Vacaville took an early 2 – 0 lead, but as they had all season, the boys battled back and won the game 4 – 2, securing their first league co-championship. In the playoffs, Encina defeated Delhi 6 – 0 and and Le Grand 3 - 1 to reach the Section Finals against the undefeated Southern Division champion, Gustine. For perhaps the first time all season, the boys started strong, jumping to an early 3 – 0 lead. Gustine attacked relentlessly and scored twice, but Encina held on for a well deserved 3 – 2 victory and back-to-back Sacramento-San Juaquin Section Championships. Many of the players have received individual awards. Miguel Aguilar, Jose Munoz, Hugo Sanchez, Luis Landeros, and Nelson Rodriquez were named to the Sierra Delta League all-star team while Rafael Garcia and Ramses Galvez received honorable mentions. Jose was the league offensive MVP and Hugo was named team MVP. Miguel was offered a full-ride soccer scholarship to the University of San Francisco and recently signed a letter of intent to play there. Even more than the teams’ accomplishments and the individual honors, John and Glenda are proud of the players’ academic achievements. Collectively, the teams have a GPA of 3.1 this year. Not a single boy was lost to academic eligibility this year and only one girl – a freshman who apparently has not heard the good-grades lecture enough yet. Seniors from last year’s teams are now attending UC San Diego, UC Davis, Sac State, and American River College. Luis Mendoza, who is attending Sac State, was awarded the Dell Scholarship. Encina soccer is back ! Anyone who is interested in playing can email me at: bbkroy@comcast.net. The Boys Varsity has won both previous games, I think its time that we try to teach them a thing or two, and show them the Alumni still got game! I'm looking forward to a great weekend back at Our Old School! Come out and celebrate the rebirth of Encina Soccer with us, bring a chair, sit back relax and enjoy getting together with old friends.